Purchasing an engagement ring is a experience that you will cherish for the rest of your life. Whether you are doing it alone or have your significant other with you throughout the process, we want to create their perfect ring, ensuring it will be cherished for the rest of their life. Whether you know exactly what you want or you would like our lead designer to walk you through the process to create the perfect jewelry piece of your dreams, we can make it happen! We carry a wide variety of samples and completed jewelry pieces in our cases to help inspire you and spark your imagination. Our resident GIA Graduate Gemologist will sit with you and help you make an informed decision on what is important to you and within your budget. Over 100 unique samples available in our store to browse through and try on. Most custom jewelry can be ready within 5 to 10 business days time, or expediated in a timely manner for your perfect occasion. 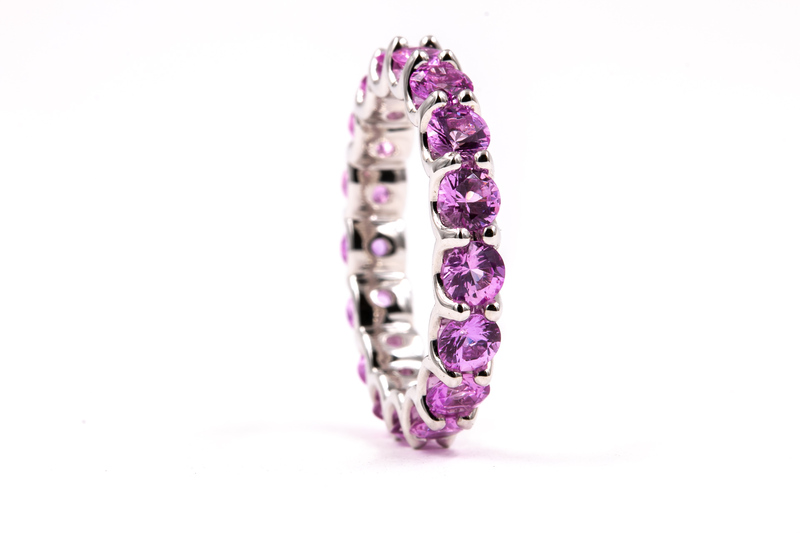 All our jewelry is guaranteed for life, including regular cleaning and maintenance. In the unlikely event that any stones (not including center stones) are lost or come loose, we will quickly assist you in fixing or replacing the stone. While these are some of the more popular engagement rings settings we've done, we can literally create ANYTHING. Whether you saw it on Pinterest or you've got a sketch on a napkin, our jewelry designer will bring your dreams to life! 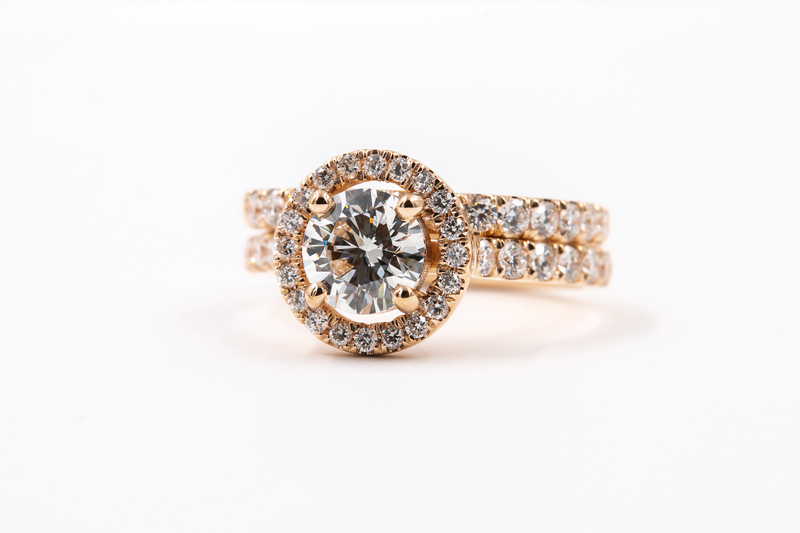 Halo settings have always been a reliable and popular setting due to their versatility and ability to make center stones look larger than they are. 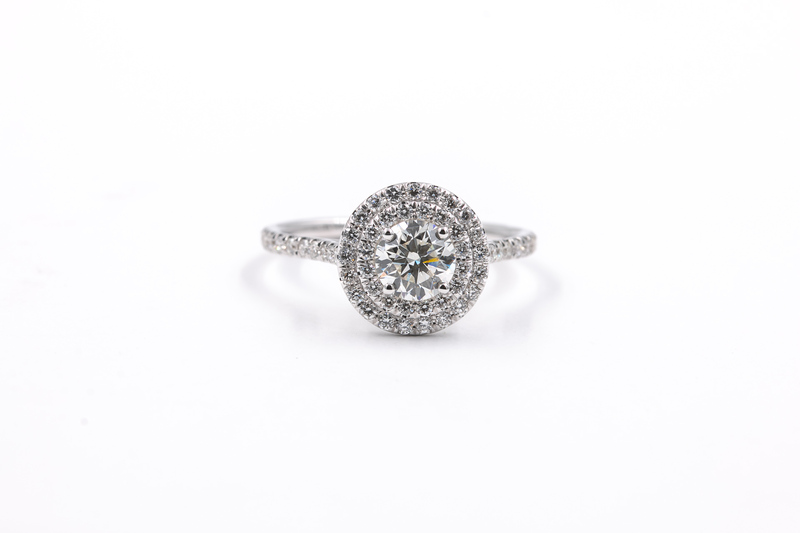 ‘Halo’ refers to the diamonds that surround the center stone, thus creating the ‘halo’ effect. 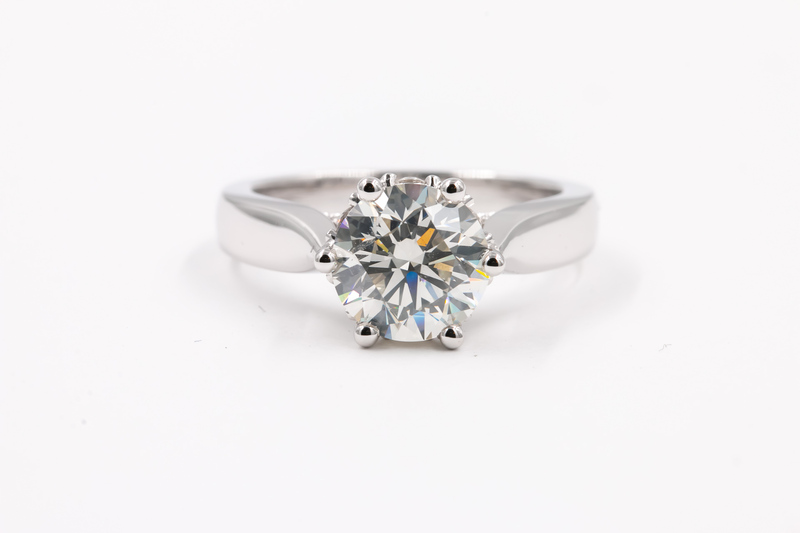 A common practice is to place the diamond at an exact height leaving no gap between the halo and center stone. By doing this it increases the overall perception of the center stones size and weight. Double Halo settings share the same premise as single halo, but offer even more diamonds. Double halo's are an excellent way to make sub 1 carat stones, feel and look much bigger than they would without a halo, or with a single halo. Three Stone settings have been increasing in popularity due to their versatility and meaning. This setting can be used for both engagement rings and anniversary gifts, often times birthstones or the significant other’s diamond or gemstone of choice. It is believed that the three stones stand for the past, present and future of your relationship as well as friendship, love and fidelity. Cathedral settings are perhaps one of the most elegant and timeless settings. Named after the graceful arches of a cathedral, this setting utilizes the arches to hold the center stone in place. Similar to a halo setting, the arches can add extra height making the center stone appear larger. This is also a great way to add creative style, for less money than adding more diamonds. Bar settings are often referred to as being the perfect combination of fashion and function. They have a more distinctive and modern look than the classic solitaire setting, yet remain simple in design. The bar setting gets its name from the two bars that hold the center stone in place and while similar to a channel setting they are different. With a channel setting the sides of the diamonds would be completely enclosed, however with the bar setting the sides of the diamond are dramatically exposed. This allows for more light and sparkle. Infinity settings are one of our most popular choices due to the meaning and ability to create limitless possibilities. 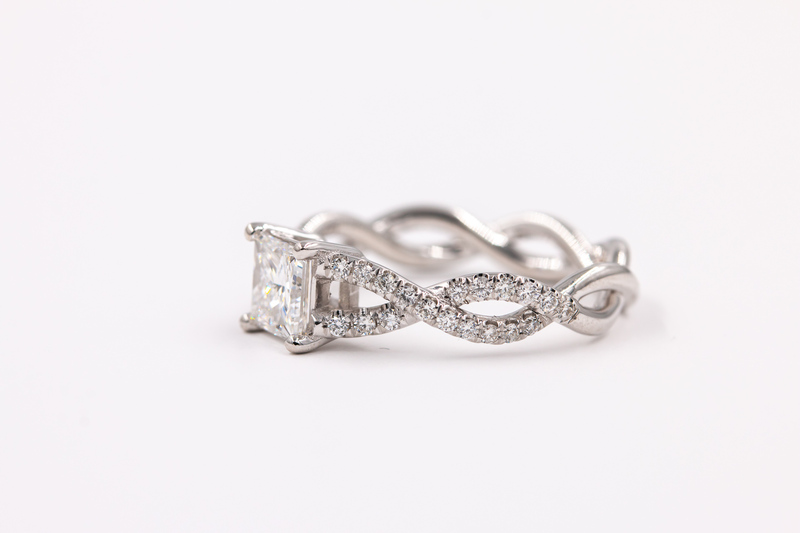 Infinity settings symbolize the everlasting love for one another and can be filled with either diamonds or other gemstones. 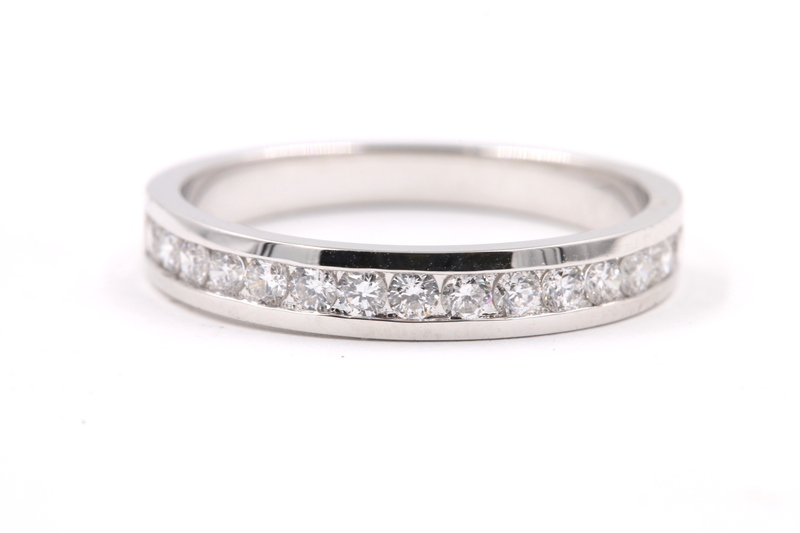 While infinity settings are primarily used for engagement rings, they are also used for eternity bands, promise rings and gifts. There are endless possibilities with this setting and countless other traits can be combined with it to make an absolutely stunning ring. Solitaire settings are without a doubt the most popular due to their timeless look and ability to really make the center stone sparkle. Usually the diamond is held in place by either four or 6 prongs, with the former you can see more of the diamond and create more brilliance, however the latter is more secure. While this is an easy to clean and maintain setting, it can have its downsides. If the diamond is high-set it can snag on clothing, furniture and other materials. If you live an active lifestyle we recommend a lower set prong setting. 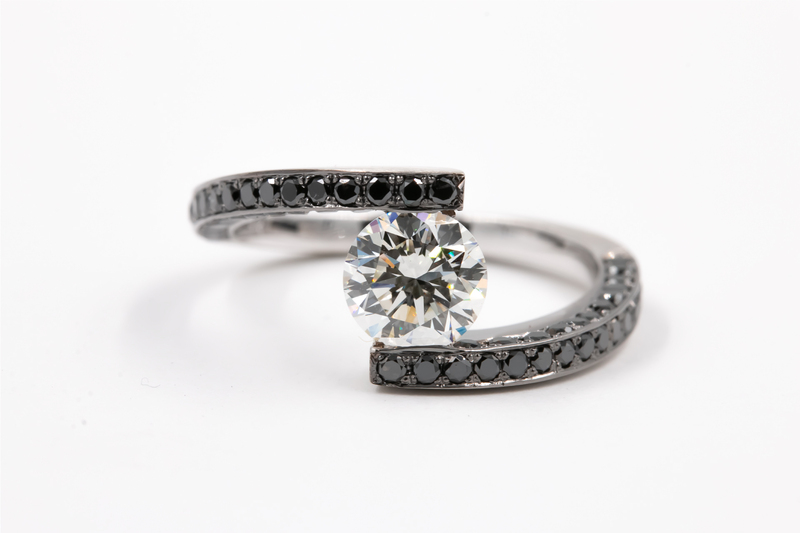 Tension settings utilize a unique system for securing the diamond center stone, while providing a sleek and modern look for your engagement ring. Custom, handmade gold or platinum bands hold the diamond with pressure negating the need for prongs or metal surrounding the stone. Tension settings are a great way to give a complicated and expensive look at a fraction of the cost. Channel settings have become increasingly popular due to the lack of prongs in the setting. For many women that work with their hands and don't want to worry about prongs catching on things, the channel setting is a good choice. 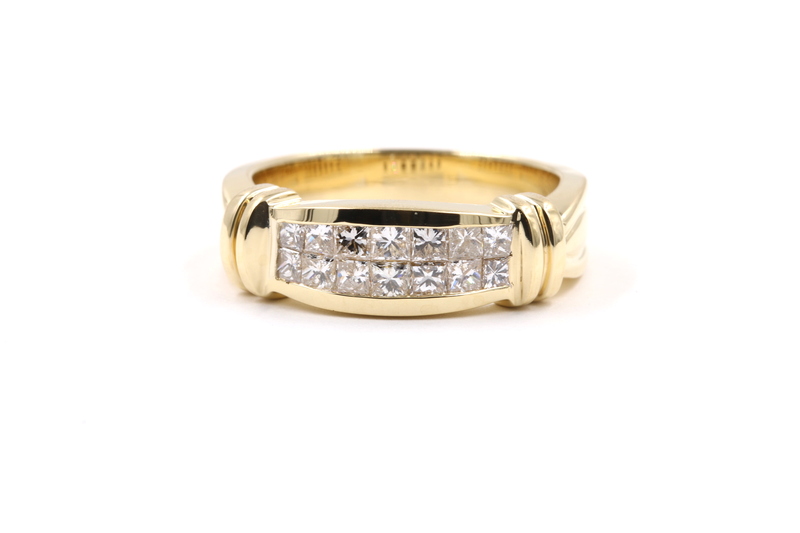 With channel settings, generally speaking, the diamonds are safer due to being set between two gold (or other metal) strips, trapping the stones securely. Downsides to be aware of include dirt getting into the channel setting, thus you might find yourself cleaning this type of setting more often than some others. Overall, the channel setting style has been around for a long time and isn't going anywhere due to its timeless look and style. Invisible settings are a popular choice for those that do not want prongs or bezels holding in their diamonds. This is because diamonds set in an "invisible setting" use a metal framework to hold the bottom of the diamonds in place. By using the metal framework to hold the diamonds, it produces a very clean and classy look. However, invisible settings do have their downsides. Due to the intricacies of the metal framework labor when producing this kind of setting can be relatively more expensive than traditional settings with prongs or bezels.